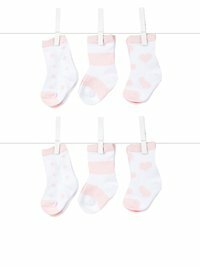 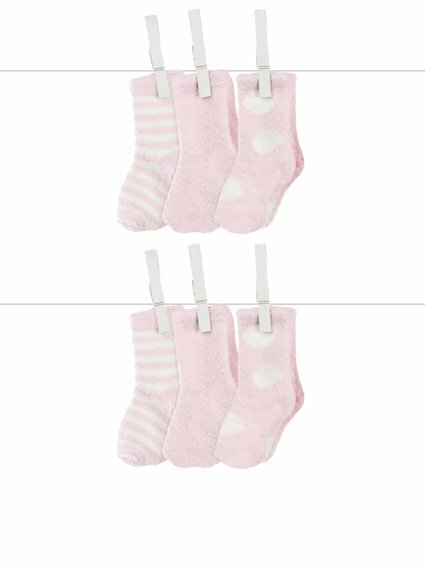 Playfully printed with Harlow diamonds and dots, stripes and your choice of hearts or stars, our set of six pairs of socks are perfect to mix and match! 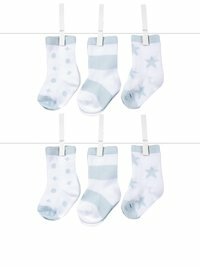 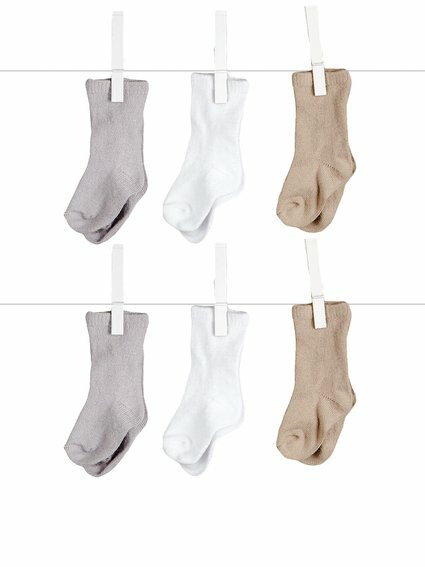 These ultrasoft Silky Yarn socks will complete your baby's collection of wardrobe essentials. 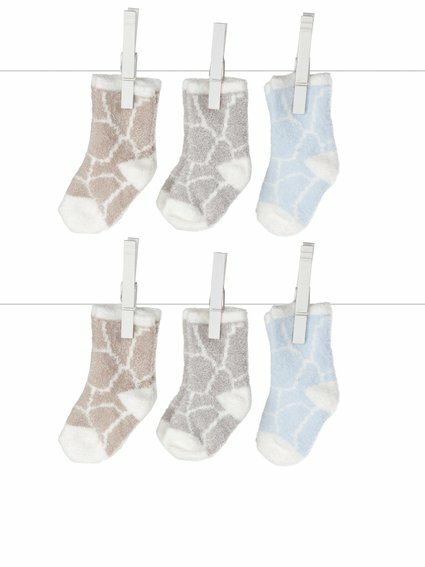 Delightfully packaged in a giraffe print box, our Box of Socks™ makes a perfect baby gift.